Hello and welcome to Foundation! This is a very exciting term as we begin to see the children use and apply the new skills they have learnt since joining Foundation. As the children become more independent, they will begin to seek opportunities in the environment to stretch and develop their own learning. This term we will be thinking about healthy life styles with our topic 'Our Amazing Bodies', being amazing with 'Superheroes' and in the final part of the term we will be thinking about life, growth and change. In Literacy, we will continue to develop our sentence writing skills. applying our phonics to both fiction and non-fiction texts. We will be writing labels during 'Our Amazing Bodies' topic and focusing on the story of 'Superted' during our 'Superhero' topic. 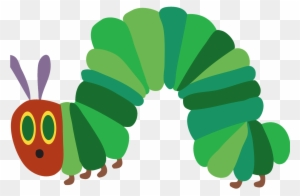 During the late part of the spring term, we will use the story of 'The Hungry Caterpillar' to support our understanding of growing and changing. In mathematics, the children will begin to count using visual support, naming and writing numbers. They will begin to link number shapes, thinking about quantities and amounts. We run weekly Stay and Play sessions in Foundation. Please read the weekly Foundation Newsletter for information about our next session. Children will need to bring their book bag into school each day, along with their reading book and record. PE days are Tuesday. Please can you ensure that earrings are removed on this day. 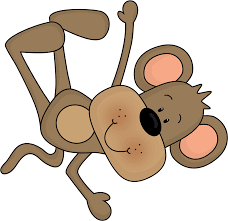 Parents are welcome to come into the Foundation class from 3.10-3.20 on a Monday and Wednesday to change reading books and check their child’s learning journeys. This is also a great time to catch up with staff! We have an open door policy so please get in contact if you have any questions. Read Write Inc Speed Sounds: Set 1 This video is aimed to help you understand what each of the sounds in Set 1 sound like. Download the Counting Videos: http://havefunteaching.com/videos/counting-videos/ Download the Counting Songs: http://havefunteaching.com/songs/counting-songs/ Get This Video on DVD: http://havefunteaching.com/videos/counting-videos/counting-dvd/ Get the Counting Songs CD: http://havefunteaching.com/songs/counting-songs/ The Counting Down From Twenty Song by Have Fun Teaching is a counting song that teaches kids how to count down from 20 to 1 by ones. Get 25% off of our video collections on Sellfy! Use the discount code "walrus" on the following links: https://sellfy.com/p/e8ma/ https://sellfy.com/p/uCcn/ https://sellfy.com/p/n3v1/ Numbers Song - Counting From 1-10 The Singing Walrus team is excited to present "Counting from 1 to 10", the first numbers song of a series dedicated to toddlers and preschool / kindergarten kids, or young ESL students!